We believe that our customers deserve nothing short of best. To cater the varied communication needs of our clients and deliver superior solutions and services in Softphone. Our first model is Yoip carriers softphone Lite, which is the basic model of SIP Softphone especially designed to give you a soothing communication experience. 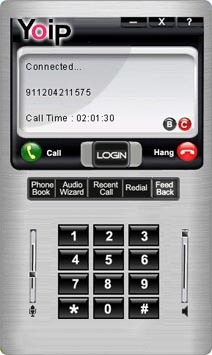 Every model of SIP Softphone is crafted out while keeping the various requirements of our clients. This Softphone comes with the following set of features. These features would enable you to connect your Softphone to any PC or Phone and enjoy the slashed rates in comparison to traditional phone call. Softphone Lite (Download) with one Brand Name/Logo and one Skin.